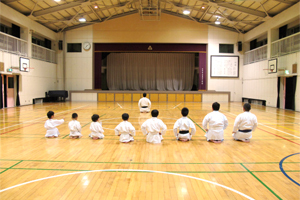 Renshin-juku Karate Dojo provides traditional karate training for every People (Athletes, Children, Women, Elderly) in Fuchu-shi, Tokyo. Karate training is healthy for everyone and every age group. It improves people’s self confidence, spirit, focus, concentration and physical health and is ideal for learning self defence. We want to involve more people and children in sports/ self defence. 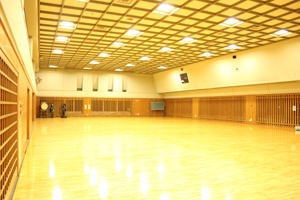 The Renshin-juku Karate Dojo in Fuchu-shi, Tokyo, was opened in March 2013 by Sensei Yoshimasa Kobayashi. He trained “Traditional Shotokan Karate” at Teikyo University Karate Team which is a globally famous karate team, under Sensei Masao Kagawa who is President instructor of Japan Karate Shoto Federation and Head coach of Japan Karate Fedaration National Team of Japan. Karate-do is a martial art whereby it shapes your character to be a proper person. The genius of karate-do is to unite ‘shin’ (mind, mental improvement), ‘gi’ (techniques), and ‘tai’ (body, physical improvement) and to grow oneself through training. In other words, it is not only based on power and techniques but also on continuing practice and the respect for other people “Men, women, the young and the elderly.” Japan Karate Shoto Federation provides trainings in a manner most consistent with the skill levels of trainees and their purposes. By promoting ‘Lifetime Karate’ training, we hope that karate-do would appeal to persons of all ages and would eventually be beneficial to our society. In 1922, Master Gichin Funakoshi performed karate for the first time in Tokyo at the Sports Exhibition hosted by the Ministry of Education. His pen name was ‘Shoto’. People, who intended to abandon old conventions and seek a modern karate, adopted this traditional Shotokan Karate and established “Japan Karate Shoto Federation” in the year 2000. Due to the excellent techniques of its Instructors and the dedication of its members, JKS acquired the status of a Non-Profit Organization by decree from the Cabinet Office. Today, it has approximately 30,000 members in 62 countries. Instructors at its Headquarters achieved brilliant results including wining the All Japan Karatedo Championships of JKF and World Karate Championships of WKF. The genius of karate-do is to improve the ‘shin’ (mind, mental improvement), ‘gi’(techniques), ‘tai’(body, physical improvement), that everyone would like to achieve, through daily training. In addition, we suggest “lifetime karate” that is customized training programs according to each one’s skill level, objectives and in consideration of gender, age, health condition, and what kind of handicap one has. ‘Reigi’ (courtesy) and ‘Saho’ (manner) is emphasized in our teaching method. We provide hard training of ‘waza’ (methods) in a sociable atmosphere that will promote internal growth. Renshin-juku is working centering on Fuchu-shi, Tokyo. Usually, although it is training at the following places, a practice room place may change by a week. 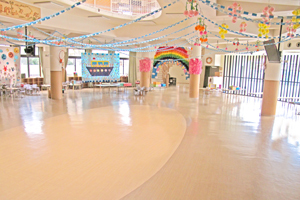 Moreover, a lesson day and exercise time may be changed by convention, an event, etc. Please confirm a schedule for details. When the above-mentioned practice room place cannot be used, it is specially used by exercise. For further information please call on 090-2494-5575. Copyright © 日本空手松涛連盟 府中支部 - 錬心塾 All Rights Reserved.